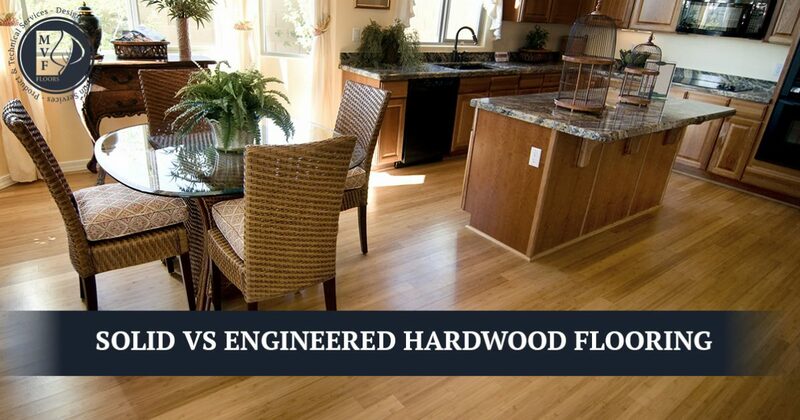 When it comes to hardwood flooring, you have a choice to make — solid or engineered hardwood. So you’ve decided to install hardwood floors into your home or commercial space. Hardwood flooring is classy, beautiful and will never go out of style, so we applaud you on your choice. However, there are many different types of hardwood floors to consider, from the species of wood used in the floor to the grade and color of the floor. The biggest decision you’ll have to make regarding your hardwood floors, though, is whether to choose solid or engineered hardwood. That’s why the experienced hardwood floor installation experts at Mountain Valley Floors have come up with this quick guide to show you the differences between the two. Solid – Solid hardwood flooring consists of individual planks that are made of 100-percent hardwood. Because solid hardwood flooring is made of solid wood, it can be sanded and refinished many times throughout its lifetime. Engineered – There are several layers in engineered hardwood floors. The top and bottom layer of engineered hardwood flooring is 100-percent wood, but the middle layer is built from plywood that crisscrosses in multiple directions. Engineered hardwood floors are a little thinner than solid hardwood floors, and though they can be sanded and refinished, you can only do so a couple of times throughout their life. Solid – Solid hardwood floors can be incredibly durable, but just how durable your solid hardwood floors are will depend on the species of wood you choose. Solid hardwood floors can stand up to a lot of abuse, but moisture can damage them. However, if you maintain your solid hardwood floors properly, they can last for decades. Engineered – Although engineered hardwood floors are also extremely durable, they can’t compare to solid hardwood floors. That’s because engineered floors are much thinner, and therefore, can become delaminated or chipped more easily. However, they can hold up much better to limited moisture than solid hardwood floors do. Solid – Due to its inability to stand up to moisture, solid hardwood flooring is ideal for hallways, bedrooms, living rooms, dining rooms and other areas of the home that don’t come in contact with moisture. They aren’t a great option for bathrooms, basements or kitchens. However, you could install solid hardwood in a kitchen if you use waterproof mats next to the dishwasher and sink. Engineered – Engineered hardwood floors can be installed anywhere that solid hardwood floors can, though they can also be installed in basements — as long as the right kind of subfloor is installed — and powder rooms. It’s best to choose an inorganic material for kitchen flooring; however, as long as you take the right precautions, engineered hardwood can work in kitchens as well. 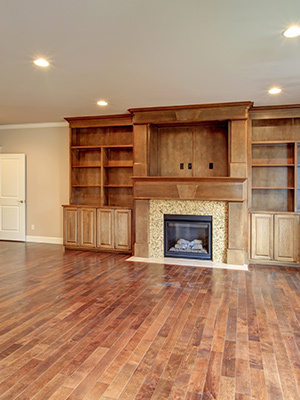 Regardless of whether you choose solid or engineered hardwood, choose Mountain Valley Floors. Solid hardwood and engineered hardwood can both be excellent choices, but it really depends on where you want to install it, how much you want to spend and what kind of durability you need. If you have further questions or concerns about which option is best for you, please don’t hesitate to contact us at Mountain Valley Floors today. Schedule your free on-site or in-store consultation today!